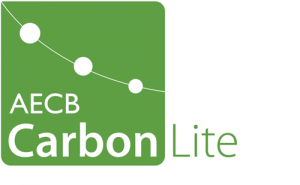 The AECB CarbonLite retrofit training course concentrates on developing a good understanding of issues related to heat and moisture in buildings to help retrofitters avoid and/or manage any unintended consequences arising from the repair, insulation, draught proofing and ventilation of existing UK buildings. This online course is aimed principally at UK construction professionals and those whose role involves decision making around retrofit. It brings together a wealth of knowledge on low energy building retrofit experience and methodology. Develop your understanding of heat and moisture in buildings. Understand the issues that can arise from the repair, insulation, draught proofing and ventilation of existing buildings (relevant to a wide range of construction types, based mainly on UK examples of different ages. Learn about ways to avoid or manage unintended consequences. Find out about investment appraisal methods for retrofit. Find out more about the AECB and the benefits of joining. AECB Membership offers a wide range of benefits to individuals and companies and costs from just £39.00 per year. Company membership depends on turnover and starts at just £84.00 per year. If joining as a company/educational establishment, membership covers all employees/students. For questions about membership please email here.